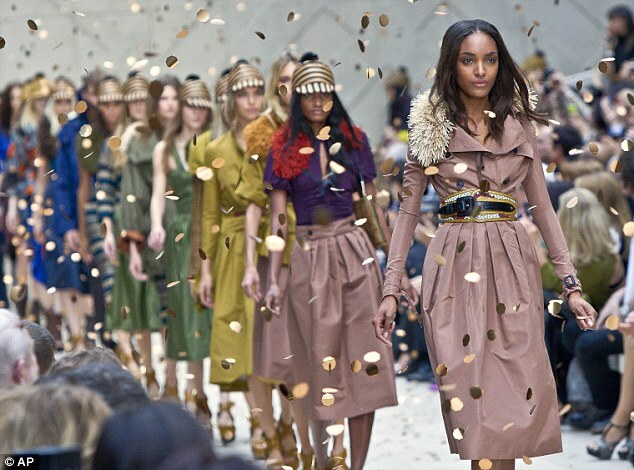 It was London Fashion Week's hottest ticket, and the Burberry Prorsum show this afternoon didn't disappoint. 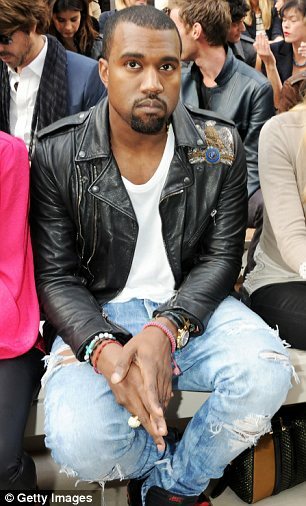 Kanye West, Rosie Huntington-Whitely, Gemma Arterton, Andy Murray, Peaches Geldof and Sienna Miller were just a few of the guests on the label's very star-studded front row. Samantha Cameron, Sir Philip Green and Anna Wintour made up the fashion heavyweights, while celebrity stylist Rachel Zoe added a touch of Hollywood glamour. 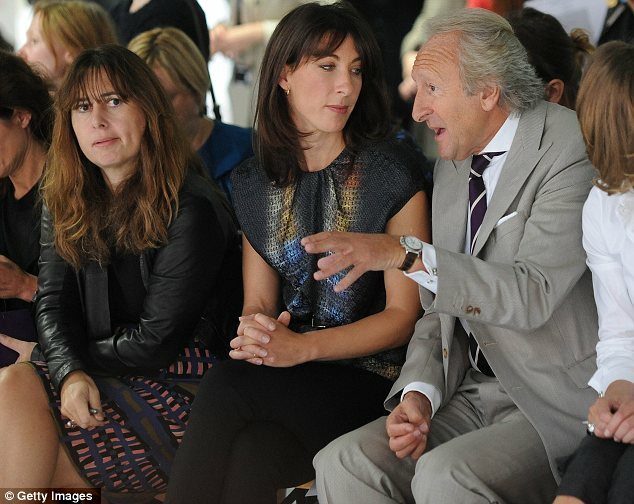 It was an impressive line-up, even for Burberry, which is a favourite with the A-list. 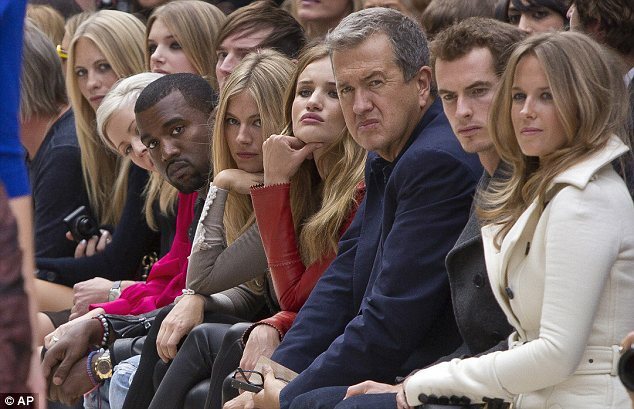 And there was clearly a Burberry uniform among the fash pack in attendance. Gemma, Sienna and Rosie, as well as TV star Donna Air were all sporting the same leather trousers. Rachel Zoe and Prince Harry's ex Florence Brudenell-Bruce, meanwhile, went for thick checked woollen coats - despite the mild autumn temperature. But it seems the label was intent on creating a unforgettable collection to match. The accessory that stole the show was the bobble cap, seen on almost every model but all the pieces were a hit. Thick coats and chunky knits seem perhaps out of place in a summer collection, but Burberry is a Brit label and the sun rarely shines in the UK, even in summer. For rainy days, the trench has been given an overhaul - now in bright colours and bold prints. The tribal theme was unexpected but provided a refreshing change. And for those who didn't get a chance to attend the show, the collection is available to buy online now to receive next season. Twitter users had a first look at the Spring Summer collection - before it was even unveiled at the Hyde Park show venue. Every look was shared on the social networking site, allowing followers to view the collection moments before anyone else. Burberry CCO Christopher Bailey said: 'Twitter is instantaneous and I love the idea that streaming a show can be in many different forms.